We’re fast. It’s one of our main qualities. It’s also why so many of customers from the world of waste handling, construction, retail/wholesale, logistics, manufacturing and trade resellers, choose us time-and-time again. Because we manufacture a huge range of products in-house we maintain good stock levels. This means that, in most circumstances, the forklift attachment you need is ready and waiting for us to send to your site. We typically turn around requests within around 3-5 days. And if you have an urgent order, we can arrange for the product to be sent out within 24 hours via transport service if it’s in stock. 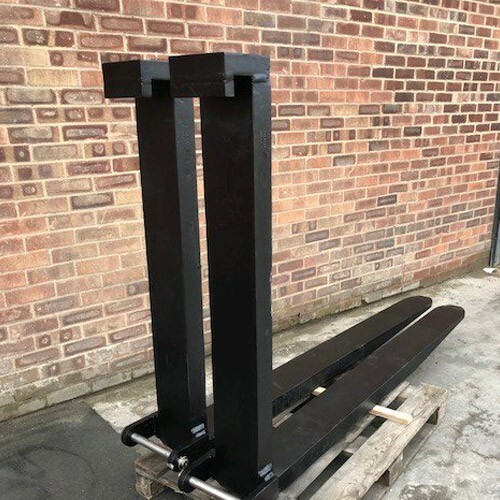 We were recently approached by a major UK forklift company who needed a longer set of forks for one of their existing machines ASAP. Without the forks, they couldn’t hire out their machine. Ideally, they wanted their new forks delivered to their site within five working days. Thanks to our extensive knowledge and expertise, we knew that all we needed to make this request happen was the truck model and fork length. Outcome: The order was placed on Monday and we delivered the forks to site by Thursday – a day earlier than our customer had originally specified. Are you working to a tight deadline? Do you need a forklift attachment in days, not weeks? Contact us today on 0113 277 1222 or sales@invicta-attachments.co.uk to get the attachment you need when you need it, with minimal hassle.